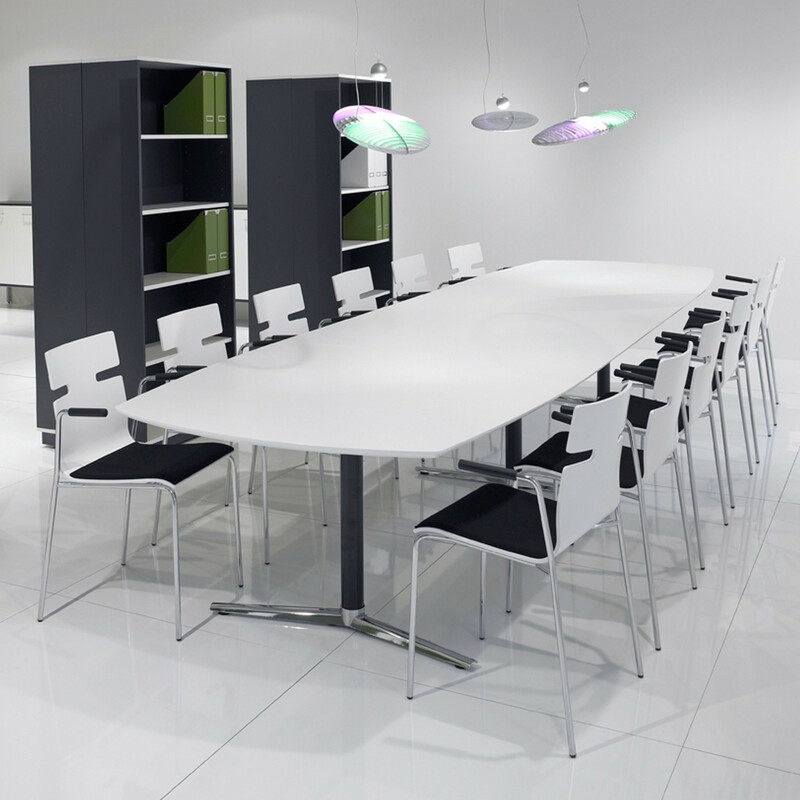 Switch Tables designed by Flemming Busk and Stephan Hertzog offer a range of meeting tables in various sizes and shapes. The table tops can be finished in either laminate, linolium or real wood veneer. 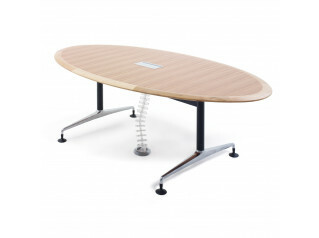 Switch table tops can also be fitted with power and data in the top or under the table. Winners of several Red Dot product design awards, Danish Furniture Prize 2008 and triple 2009 Design Award of Federal Republic of Germany Nominee. Switch tables come available in sizes from 2000 x 1100 mm to 4200 x 1200 mm. 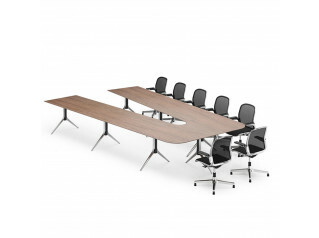 Switch Tables with electric height adjustable tops are available on request. Switch table tops are 22mm MDF. The legs are have chromed ski-feet with a black column or chrome feet and chrome column. View more furniture from Fumac Furniture. You are requesting a price for the "Switch Tables"
To create a new project and add "Switch Tables" to it please click the button below. To add "Switch Tables" to an existing project please select below.